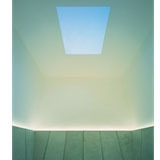 Artist James Turrell has created a permanent ‘skyspace’ inside a 19th-century Grade II-listed building in Yorkshire Sculpture Park. The £800 000 James Turrell Deer Shelter opened last weekend and was funded by art charity The Art Fund. 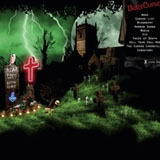 Holler has designed the website for Island Records goth band Betty Curse (www.bettycurse.co.uk), which releases its first single, God This Hurts, in August. The Blade radiator is designed by Peter Rankin to solve the practical problem of fitting radiators into tall and narrow spaces. 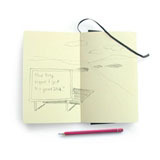 Rankin says he drew inspiration from ‘nature, science fiction and Italian artist Lucio Fontana’ for the radiator’s form. Unreal has designed a tongue-in-cheek summer poster campaign for independent brewer Everards. 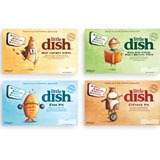 Pearlfisher has created the brand and packaging identity for Little Dish, a range of five ready-made meals for children aged up to five years. 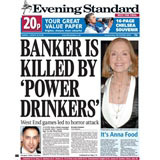 The collection launches in Waitrose this week. Third Eye Design has designed a poster and brochure to promote the Arts & Business exhibition, Art in the Workplace, running from 25 May to 9 June at Clydesdale Bank Exchange, Glasgow. The Glim Cube is one of a number of external lighting products just launched by iGuzzini. 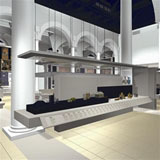 Designed by Piero Castiglioni, the LED light can be wall-mounted or set on a floor base or buried spike.